A head-to-head comparison of the Surface display with competing tablets has found Microsoft's tablet beats out similarly equipped screens, but can't take down the Retina display on Apple's 9.7-inch iPad. Raymond Soneira of DisplayMate published his tablet display shootout on Monday comparing the Microsoft Surface RT to competing devices, including Apple's iPad with Retina display and the Samsung Galaxy Tab 10.1. His tests found that the Surface display gets Microsoft's product line off to a "great start." "In particular, on-screen text is significantly sharper, it has a better factory display calibration, and also significantly lower reflectance than the iPad 2 and all full-size 1280x800 Android tablets," Soneira said. "But it is not as sharp as the iPad 3 or 4, nor does it have their large full color gamut." The Surface has a screen resolution of 1,366 by 768 pixels. The relatively low resolution screen, especially compared with Apple's iPad, has been the subject of considerable focus as Microsoft has entered the tablet market. One engineer with the Redmond, Wash., software giant argued last month that the Surface display outperforms Apple's iPad Retina display due to the company's "ClearType" display technology. Steve Bathiche said ClearType maximizes the "perceived resolution" of the Surface screen by cutting down on reflections, among other improvements. Soneira's tests found that the Surface RT does in fact have the lowest screen reflectance of any tablet tested. He found that the third-generation iPad with Retina display reflects 33 percent more ambient light than the Surface RT, while the Galaxy Tab 10.1 reflects 41 percent more light. But while the Surface cuts down on reflections, it can't compete with higher resolution tablets in terms of color gamut. 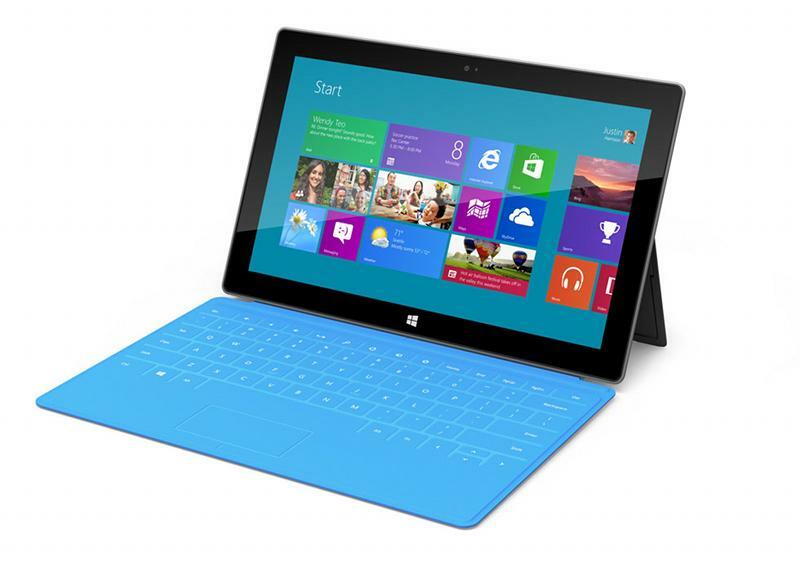 The Surface was found to have a 57 percent smaller color gamut than Apple's latest iPad. But while the Surface can't compete with the iPad's Retina display, Soneira did concluded that Microsoft's tablet has a display superior to the iPad 2. That device, which sells for $399, has a screen resolution of 1,024 by 768 pixels. "The Surface RT outperforms the display on the iPad 2 across the board except for the color gamut," Soneira said. "The Surface RT is comparable or better than the iPad 3 in all categories except two: screen resolution and color gamut." In all, Soneira found the iPad Retina display beat out the competition in viewing tests, though its major weakness was found to be a higher reflectance than the Microsoft Surface. The iPad Retina display was given a score of "A" while the Surface earned an "A-" and the Samsung Galaxy Tab 10.1 was graded with a "B+."